Every organization has achieved some level of automation. There can be various applications such as 3rd party readymade or custom made or home grown. These application automate the intended functionality, however now there are multiple applications a user has to access to accomplish daily tasks. He has to remember those many access credentials. Also those applications do not talk to each other and hence common links cannot be established. 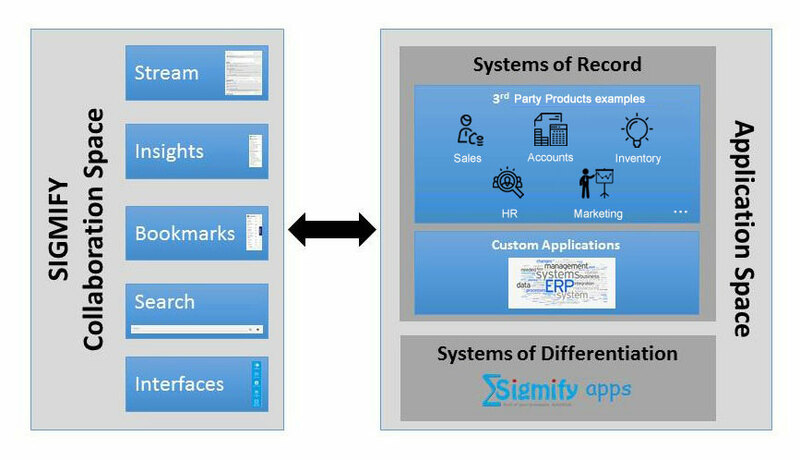 Sigmify is a unique offering that provides a collaboration layer that unifies these applications. The data essentially remains within the applications. Only the meta data from the applications is exposed on Sigmify’s Stream thereby facilitating collaboration around the transactions within the teams.